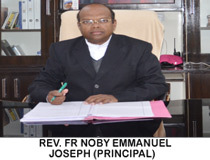 Principal’s Message Its my great pleasure to welcome you our school website . It is a platform for us to present our institution before you. I am very much delighted to see the progress of St Thomas Sr. sec. School through the commitment and dedication of the staff. Director’s Message We do not want our students to be merely successful but tell them to make an impact. Thomas Sr. Sec. School, Civil Lines, Mainpuri is a Catholic Christian, Minority educational institution, which was started in 1976 imparting education to all students. Powered By - Stucare Solutions Pvt. Ltd.